I set out to build partnerships to help promote running on our community, and what I found were runners changing the world, right in my backyard. Whilst every community has its philanthropists and social thinkers, it seems the running community has found a way to harness the potential for social good en mass. I have had the pleasure to run, sweat, dig, and volunteer alongside some tremendous organisations this summer, and I hope to highlight a few of their causes here and at our Run for your Life charity event next month. The first in a mini-series about local running groups changing the world is The Running Charity. Homelessness can happen at any time and to anyone. And when it happens to a young person it can affect them for the rest of their life. At least 83,000 young people in the UK are homeless right now and, with homeless young people almost twice as likely to die as their non-homeless peers, there is an urgent need to push for change. 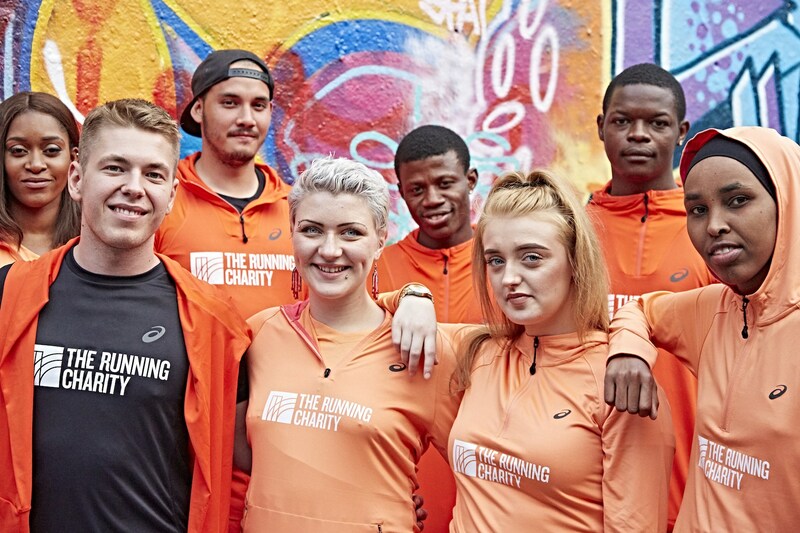 We believe that running builds resilience, confidence and self-esteem and use this to improve the lives of 16-25 year-olds who are homeless or at risk of homelessness. We know that running builds the fitness and goal-setting mentality that are key tools to help these young people to build healthy, sustainable futures. And develop and deliver personalised programmes to support some of the most vulnerable young people in London and Manchester. When Roxanne first joined The Running Charity she was separated from her children and was living in a homeless night shelter after fleeing domestic violence. During her journey with The Running Charity she built back her motivation, self-esteem and built a close knit group of friends that helped push herself forward. With new levels of confidence and the support of her peers Roxanne found a job a progressed quickly to management. Now living out of London and united with her children Roxanne works as medical records assistant at a private hospital. The Running Charity is looking for people to be part of the first wave of new Mentors for their transformative running programme. If you feel as passionate as we do about running and want to share that passion, please get in touch – we will support all mentors with training and ongoing support throughout your time with us. We are taking referrals for young people around London, Manchester, and Nottingham who would like to get out for some exercise, reduce isolation or just improve their well-being. We will pair you off with young people. Doing our best to make sure it’s as convenient as possible and that your availability matches. To all the runners out there in the JHT community, you already know all the ways that running can impact your life, so now consider how you can run for others’ lives.